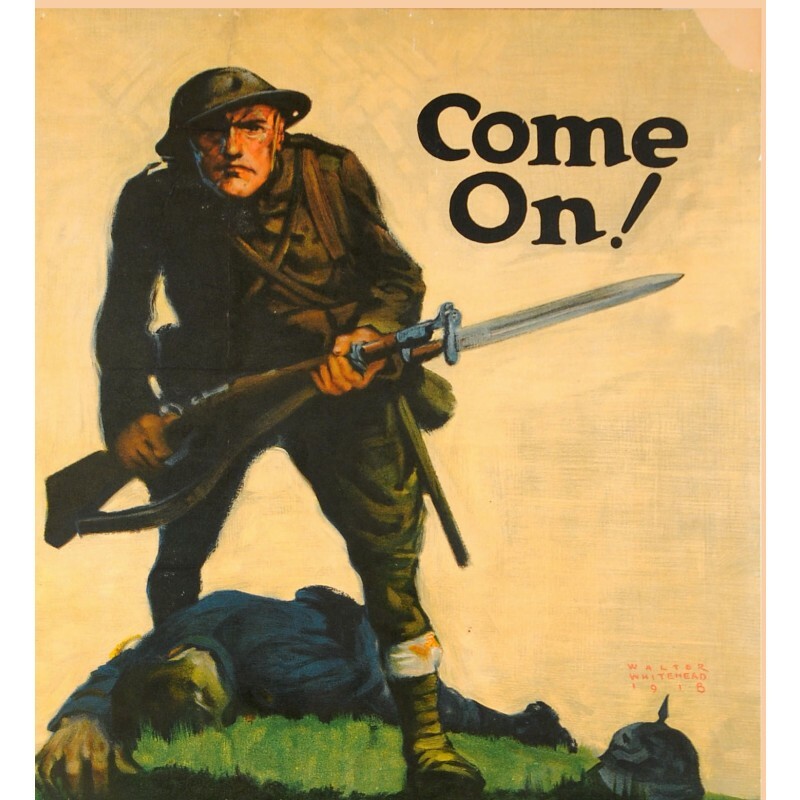 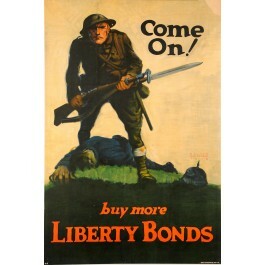 A gruesome poster of a doughboy realized in 1918 by Walter Whitehead and enticing citizens to buy more Liberty Bonds. 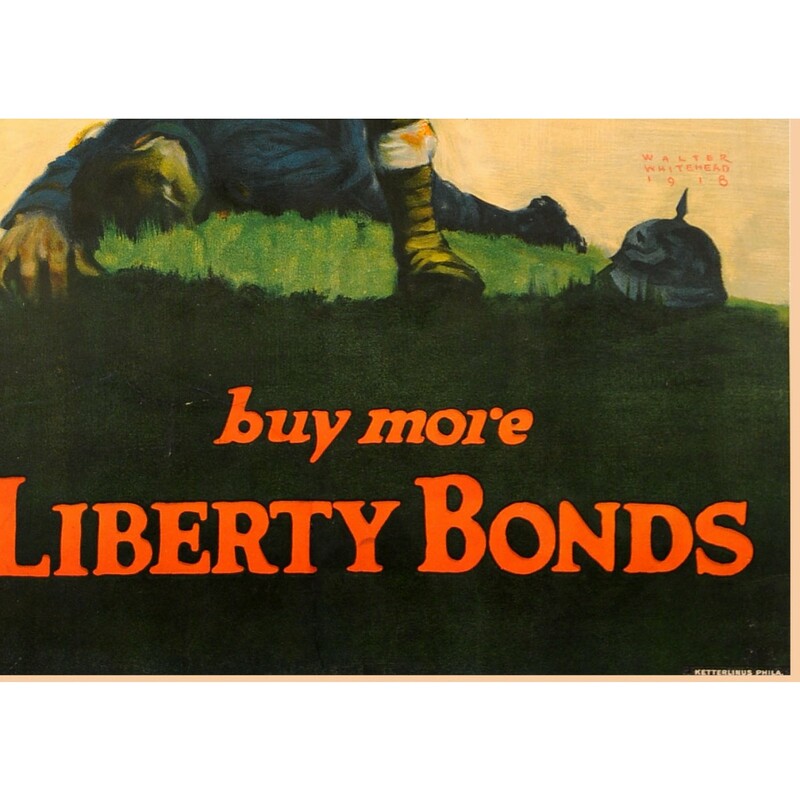 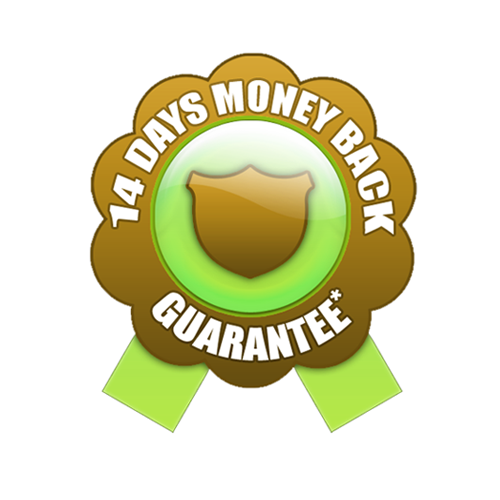 A Liberty Bond was a war bond that was sold in the United States to support the allied cause in World War I. Subscribing to the bonds became a symbol of patriotic duty in the United States and introduced the idea of financial securities to many citizens for the first time. The Act of Congress which authorized the Liberty Bonds is still used today as the authority under which all U.S. Treasury bonds are issued.